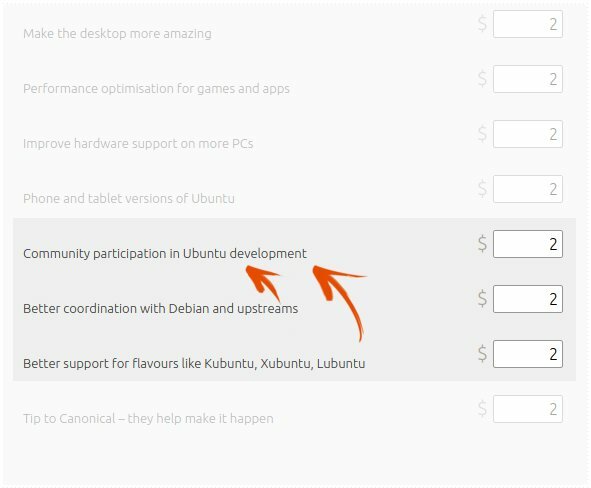 Nearly two years ago, the Ubuntu Community Donations Program was created as the framework behind the donations page on the Ubuntu site. Time to look back, listen and adjust. With the Ubuntu Community Donations Program those individuals who download Ubuntu for free can choose to support the project financially with a voluntary contribution. 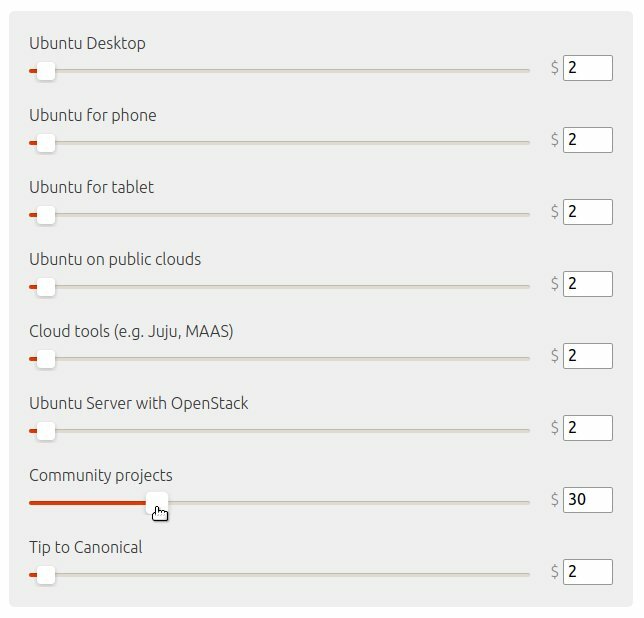 In doing so, they can use a set of sliders to determine which parts of the project the amount they donate goes to (Ubuntu Desktop, Ubuntu for phone, Ubuntu for tablet, Ubuntu on public clouds, Cloud tools, Ubuntu Server with OpenStack, Community projects, Tip to Canonical). While donations imply that donors trust Canonical to act as a steward to manage their contributions, the feedback from the community was that the Community slider required a deeper level of attention in terms of management and transparency. a way for Ubuntu members to request funding. Although the regular reports already provide a clear picture where the money donated for community projects is spent on, today I'd like to give an update on the bigger picture of the Community Donations Program and answer some questions community members have raised. In a nutshell, we're proud to say that the program continues to successfully achieve the goals it was set out for. Since its inception, it has given the ability to fund around $70,000 worth of community initiatives, conferences, travel and more. The money has always been allocated upon individual requests, the vast majority of which were accepted. Very few were declined, and when they were, we've always strived to provide good reasoning for the decision. This process has given the opportunity to support a diverse set of teams and projects of the wide Ubuntu family, including flavours and sponsoring open source projects and conferences that have collaborated with Ubuntu over the years. About two years into the Program, we felt a more thorough review was due: to assess how it has been working, to evaluate the community feedback and to decide if there are any adjustments required. Working with the Community Council on the review, we've also tried to address some questions from Ubuntu members that came in recently. Here is a summary of this review. The feedback in general has been overwhelmingly positive. The Community Donations Program is not only seen as an initiative that hugely benefits the Ubuntu project, but also the figures and allocations on the reports and are a testament to this fact. Criticism is also important to take, and when it has come, we've addressed it individually and updated the public policy or FAQ accordingly. Recently, it has arrived in two areas: the uncertainty in some cases where the exact cost is not known in advance (e.g. fluctuating travel costs from the date of the request until approval and booking) and the delay in actioning some of the requests. In the first case, we've updated the FAQ to reflect the fact that there is some flexibility allowed in the process to work with a reasonable estimate. In the second, we've tried to explain that while some requests are easy to approve and actioned in a matter of a few days (we review them all once a week), some others take longer due to several different factors: back and forth communication to clarify aspects of the requests, the amount of pending requests, and in some cases, the complexity of arranging the logistics. In general, we feel that it's not unreasonable to expect sending a request at least a month in advance to what it is being planned to organize with the funds. We're also making it clear that requests should be filled in advance as opposed to retroactively, so that community members do not end up in a difficult position should a request not be granted. Better support for flavours like Kubuntu, Xubuntu, Lubuntu. At some point during the 14.04 release sliders 2) and 3) were merged into a single category: Community projects (1). 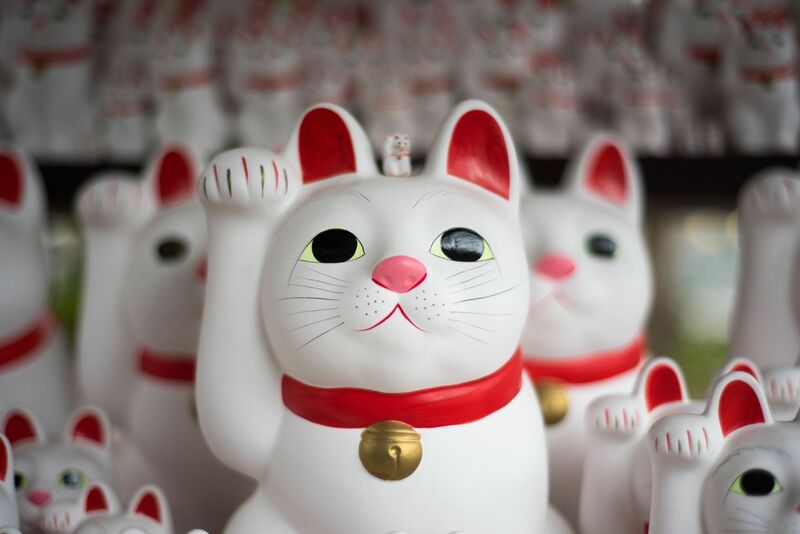 Overall, this didn't change the outcome of community allocations: since its beginning, the Community Donations Programme amounts have only come from the first slider, which is what the Canonical Community team are managing. From there, money is always allocated upon request fairly, not making a difference and benefiting Ubuntu, its flavours and upstreams equally. All that said, the lack of communication regarding the removal of the slider was something that was not intended and should have been consulted with the Community Team and the Community Council. It was a mistake for which we need to apologize. For any future changes in sliders that affect the community, we will make sure that the Community Council is included in communications as a key stakeholder in the process. Questions were also raised about the reporting on the community donations during the months in 2012/2013, between the donations page going live and the announcement of the Community Donations Program. As mentioned before, the Program was born out of the want to provide a higher level of transparency for the funds assigned to community projects. Up until then (and in the same way as they do today for the rest of the donation sliders) donors were trusting Canonical to manage the allocations fairly. Public reports were made retroactively only where it made sense (i.e. to align with fiscal quarters), but not going back all the way to the time before the start of the Program. All in all, with these small adjustments we're proud to say we'll continue to support community projects with donations in the same way we've been doing these last two years. And most especially, we'd like to say a big 'thank you' to everyone who has kindly donated and to everyone who has used the funds to help shaping the future of Ubuntu. You rock!